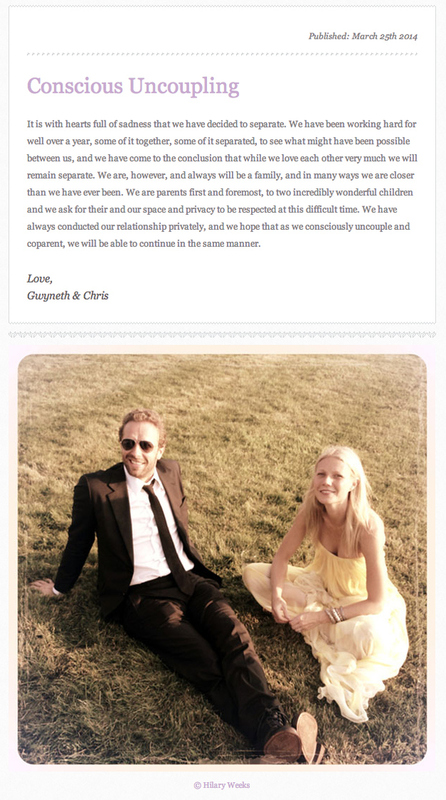 Gwyneth Paltrow and Chris Martin were innocently picking up their children, Apple and Moses, from school last week when some arch rivals attempted to keep her from performing her super duties. As they were getting ready to leave, the Paltrow Signal went up into the sky — signifying that someone was purchasing pants made of cotton (instead of fair-trade, hand-spun mermaid hair). So she took off, with Apple in tow, to save the day. But a nefarious school bus full of disgusting, deviant children (who rides the bus besides The Poors?) tried to slam into the Goop Mobile. That was when she activated her rocket thrusters and made a fast break in true heroic fashion. Some may say she was putting Apple’s life in danger, but she totally wasn’t. You know what puts Apple’s life in danger? A 40-year-old woman in Des Moines buying bagged lentils because she’s too lazy to go to Bangladesh and pick them herself, that’s who. Luckily for the school bus, Gwynnie opted to be generous and not decapitate the driver with her kale boomerang. Bide your time, orange beast. The Goop Avenger is watching (and not signaling).